YouTube has become the most popular music-discovery tool in the world and the most popular listening platform for people under the age of 18. Now the video streaming giant is also one of the best ways for independent artists to earn money from their music. That’s right: with our Sync Licensing Program (FREE for all CD Baby artists), you can get paid for the usage of your music in ANY video across the YouTube universe that uses your songs — as well as earn money when your music is used in film, TV shows, commercials, video games, and more. CD Baby has already paid out over $1,000,000 to independent artists for their music on YouTube, and that figure is growing fast. So, how does monetizing music on YouTube work? Once you’ve opted in for CD Baby’s Sync Licensing Program, your music will be delivered to YouTube’s content ID system. This means that YouTube will scan your tracks with their magical high-tech machinery and register an exact sonic “fingerprint” for each and every one of your songs in their database. From that point on, any time someone out there in the YouTube universe uploads a video which uses one of your songs, YouTube will place an ad on that video and you will earn a share of any ad revenue generated. Remember: this includes placing ads on the videos you have already uploaded to your own YouTube channel — but more on that later! When will I earn ad revenue from YouTube? And how much money will I make? If a video on YouTube features your music, YouTube will serve up an ad. That video will generate ad revenue if the text or banner ad is clicked — or, in the event that it’s a commercial, you’ll earn a share of ad revenue if the viewer watches the entire ad (if shorter than 30 seconds) or a minimum of 30 seconds of the ad (for commercials longer than 30 seconds). There’s no real way to estimate how much you’ll make from ad revenue on YouTube, because the ad rates vary depending on many factors. YouTube is a Google company, after all, and YouTube ad placements are bid upon by advertisers. Plus, advertisers pay a different amount depending on the type of ad that’s run, the popularity of the video/channel/network, etc. So, while it’s difficult to give an average payout per ad or per artist, you WILL be able to view a complete breakdown of your YouTube ad revenue in your CD Baby members account. Once YouTube has fingerprinted your music in their content ID process, every video that contains your music will have the ability to generate ad revenue for you — so the more the merrier. Encourage your friends, fans, and family to use your music in their crazy cat videos and holiday party blooper reels. What happens to the videos I’ve uploaded myself? And why am I seeing a notice saying that I don’t control the rights to my video on YouTube? YouTube is a brilliant invention, but it’s only a machine. It doesn’t actually “know” your music or know that YOU created those lovely tunes — so it’s going to place ads on the videos in your channel too (if they feature your music). In the eyes of YouTube, your songs are all just nameless, faceless digital files with meta tags letting them know that CD Baby administers the rights — and they’re going to pay ad revenue for those usages to CD Baby (since you’ve elected for us to administer your licensing rights in this circumstance). Simple: YouTube pays us and we pay you. It’s important to remember, we’re only claiming the administrative right to license your music and collect money on your behalf. You retain 100% ownership of your music and can cancel your involvement in CD Baby’s Sync Licensing Program at any time. So, long story short, if you log into your YouTube account and see a notice that says “matched third party content” (like in the example shown below)– don’t worry! As I mentioned above, no one is claiming ownership of your music. This just means that YouTube’s content ID system identified your song correctly and registered that CD Baby is the party you’ve authorized to collect ad revenue on your behalf. What should I do if YouTube shows me a “matched third party content” notice concerning videos I’ve uploaded that contain my own music? Then what? Well, then you go make some more music and let CD Baby collect money from YouTube for you! And hey, since you saw the “third party matched content” notice for your videos, you’ll have the peace of mind that the system is working just as it should for all videos featuring your music. I’m already a YouTube partner and have ad revenue set up for the videos in my channel, will the exclusive content ID rights affect my standing with the revenue stream on my videos? This will not interfere with your monetized videos that DO NOT contain music that is a part of the CD Baby Sync program. But it’s possible that it could interfere with your videos that do contain music you’ve opted-in for CD Baby’s Sync Licensing Program. If you are already making money from monetizing your YouTube channel, CD Baby will still collect revenue for the videos that contain your songs that are a part of our YouTube monetization program. * Keep things simple and let us take over the management of ad revenues for your YouTube channel. There are no payout thresholds to meet when you go through CD Baby. * Have CD Baby “whitelist” your channel. This will allow you to continue collect revenues directly from your channel while giving CD Baby the ability to collect ad revenue whenever your music appears in someone else’s video. * Opt-out of CD Baby’s YouTube monetization program. However, this will remove your music from YouTube’s Content ID system that enables you to make money off of other videos on YouTube that are using your music. 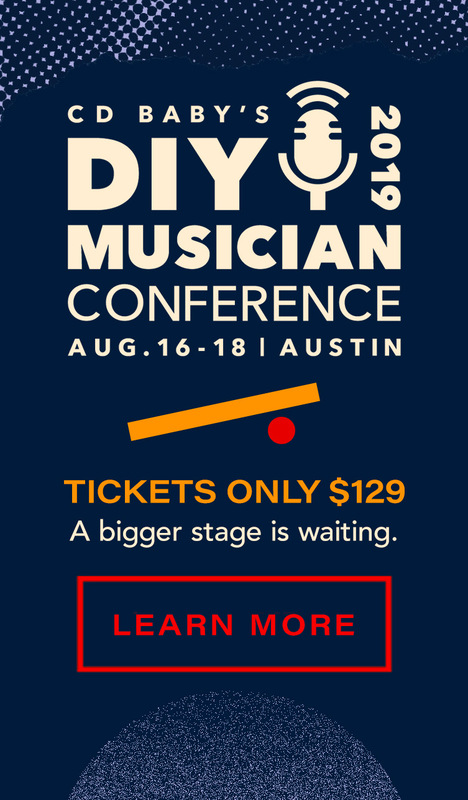 Well, I hope this adds some clarity to a somewhat complex — and exciting — opportunity for artists to make money from their music. As always, if you have additional comments or questions, please leave them in the section below. "I'm so freakin' angry right now, I had to write this email."